A $1.00 handling fee has been added to the $10.00 ticket cost. November 28, 2018, last date to place order. 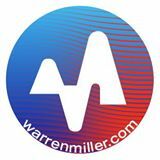 Be the first to review “Warren Miller Movie Ticket 2018” Click here to cancel reply.